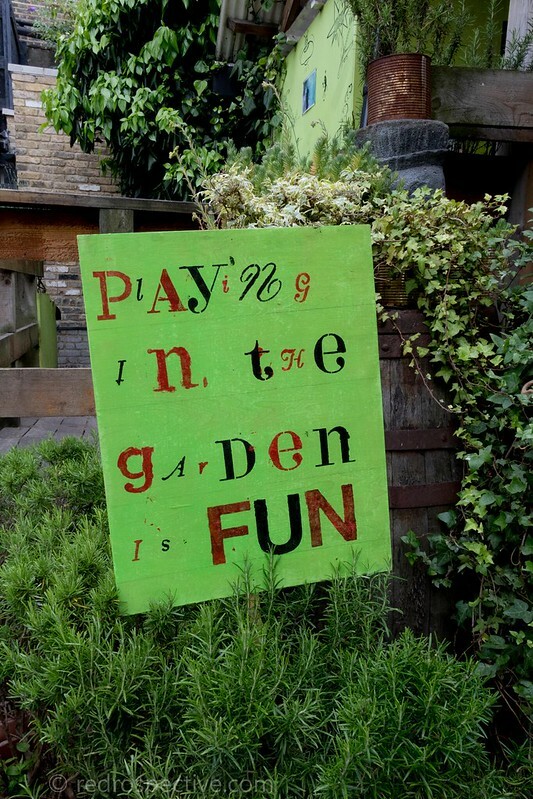 Dalston East Curve Garden is open for free every day but sometimes it takes an event like Open Garden Squares to remind you of the gems on your doorstep. 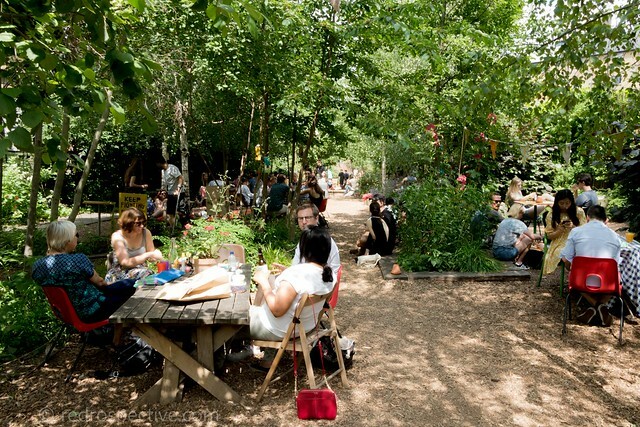 It’s an enclosed oasis in the midst of a busy urban area with a cafe, a garden volunteering scheme, plus a programme of events and live music. Perhaps its most important feature is the most basic of all: it’s a place you can go and be without having to pay. There are precious few pleasant places to just spend time in this day and age. On a sunny June day, the garden was certainly being used to best effect. 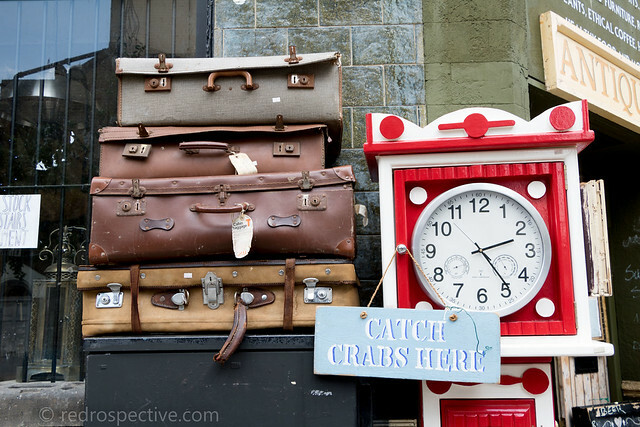 It was a hive of activity with picnics, games and leisurely strolls. 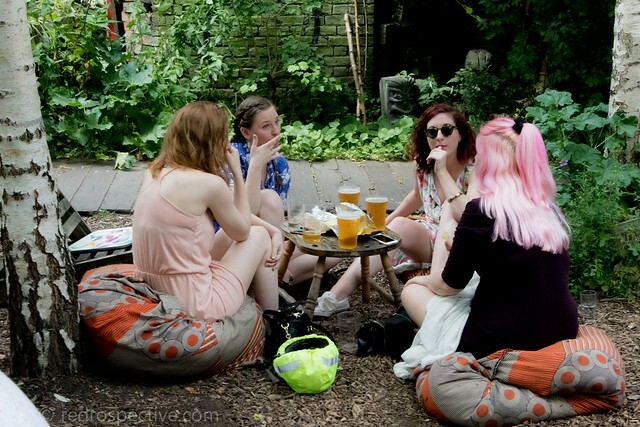 It even had strangers chatting to each other – in London! 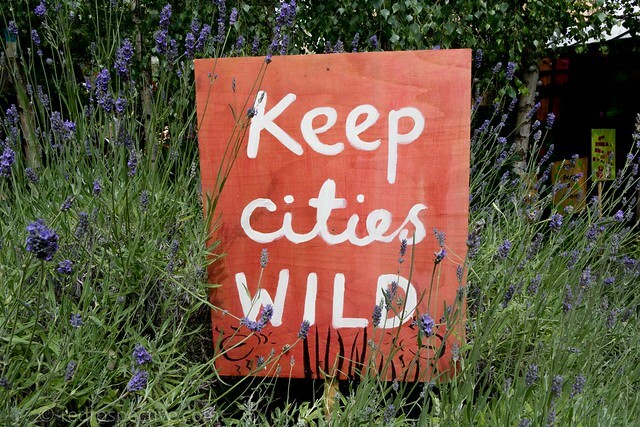 The signs dotted around the garden were the only hint to a less than bright future, as Hackney Council was proposing to redevelop the region as a cultural quarter. Such a lovely space has attracted many ardent fans, and they certainly made their support known during the consultation phase. 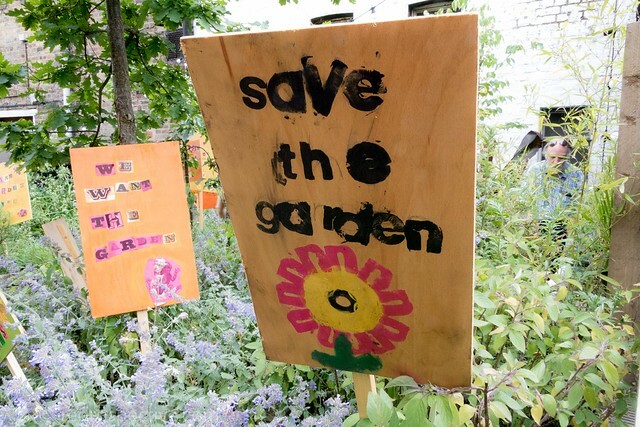 So far, so good – the garden is still going strong on the eve of Open Garden Squares weekend 2018. Visited during Open Garden Squares Weekend 2017. 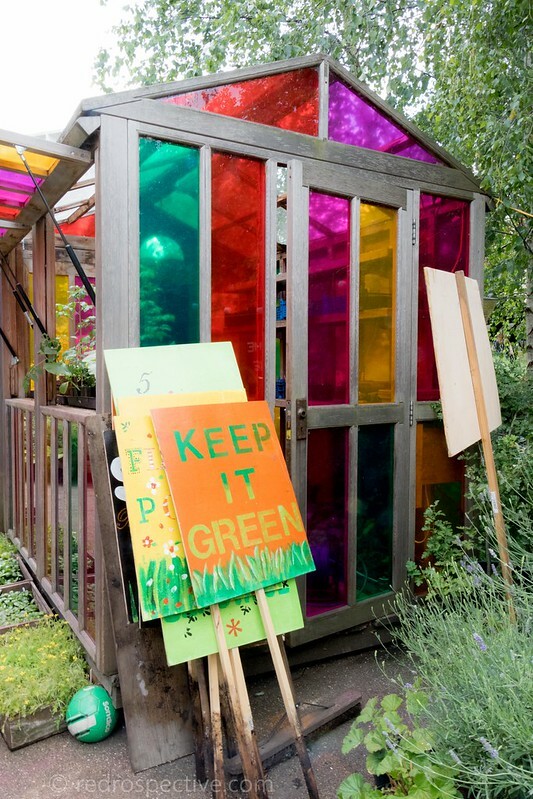 See dalstongarden.org for opening times and community activities.